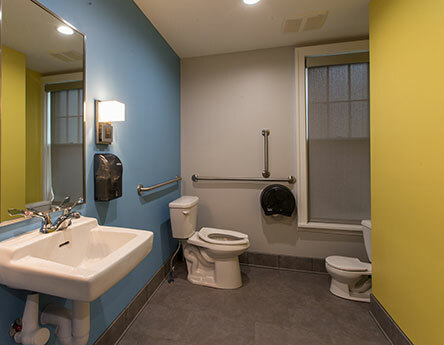 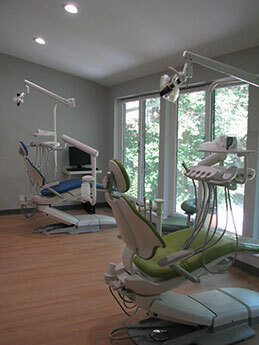 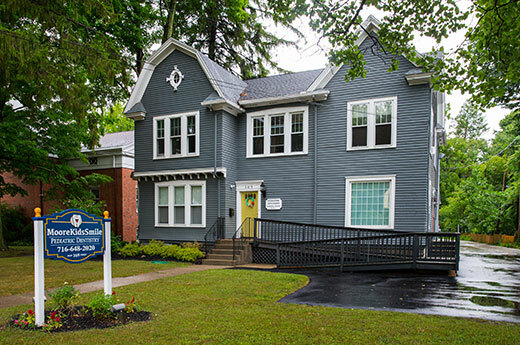 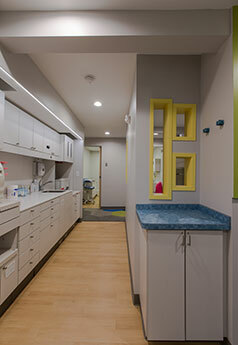 smartDESIGN designed a 2,000 sq ft pediatric dental office on the 1st floor of an existing Victorian house. 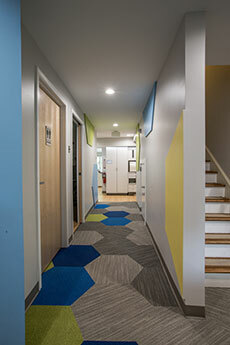 The playful design complimented the character of the existing house and site. 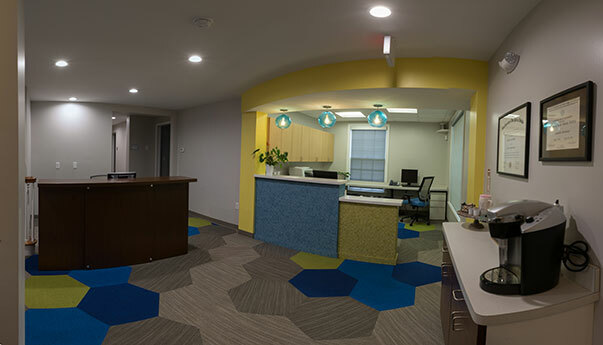 With minor structural mod­ifications we were able to make extremely efficient use of the space to provide three hygiene rooms, three closed treatment rooms, an open sterilization center, pano room, a greeter’s desk, a separate check out desk and billing area, a parent lounge, a children’s lounge with marker wall and basketball hoop, and a toilet room equipped with a child-sized toilet. 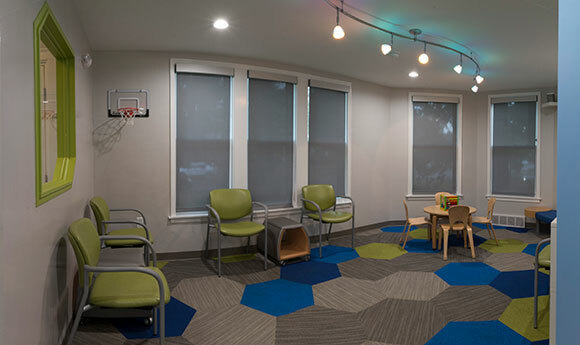 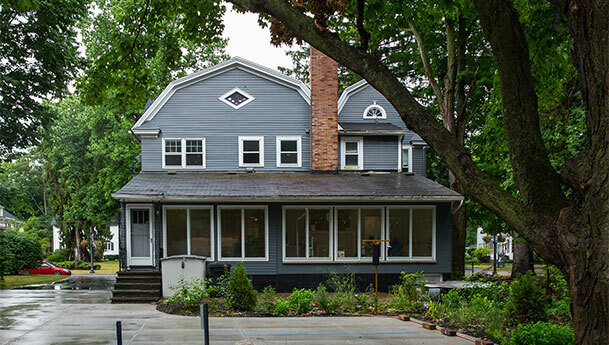 The rear of the building included a large room for an open hygiene bay and an existing wood-paneled room for the parent lounge with a great view and direct access to a lovely rear yard with mature shade trees and carefully placed landscape elements.